Exclusive - Paul Skilleter reviews the X350 hands-on for Jag-lovers! 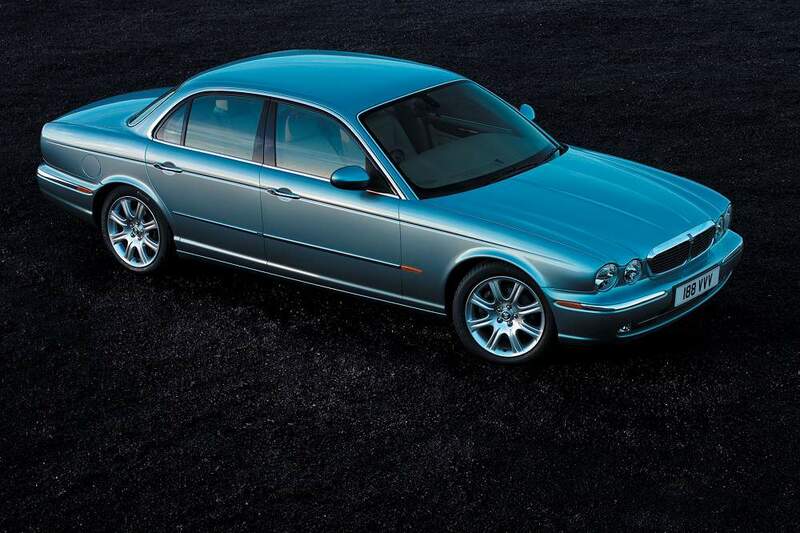 We have the Official 7 page Jaguar downloadable PDF Spec sheets! PLUS NEW! Paris Show Pictures 26th September 2002!! 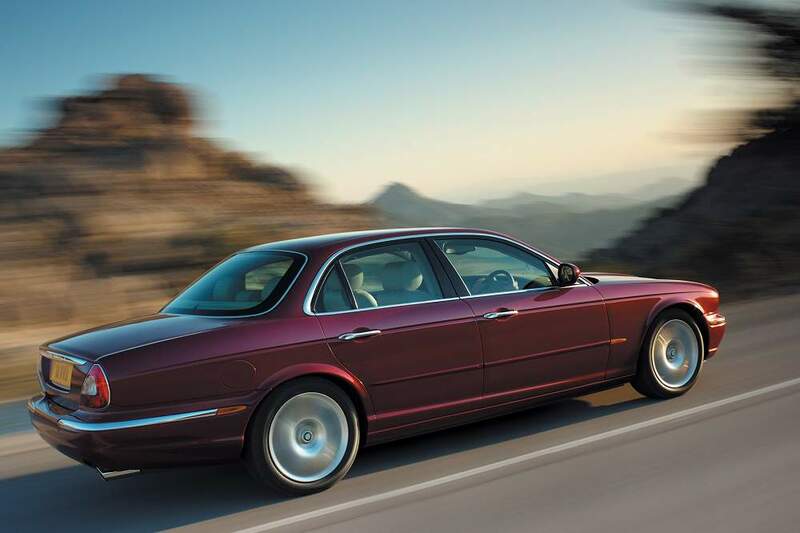 "The new XJ is a luxury car with a true sense of gravitas. 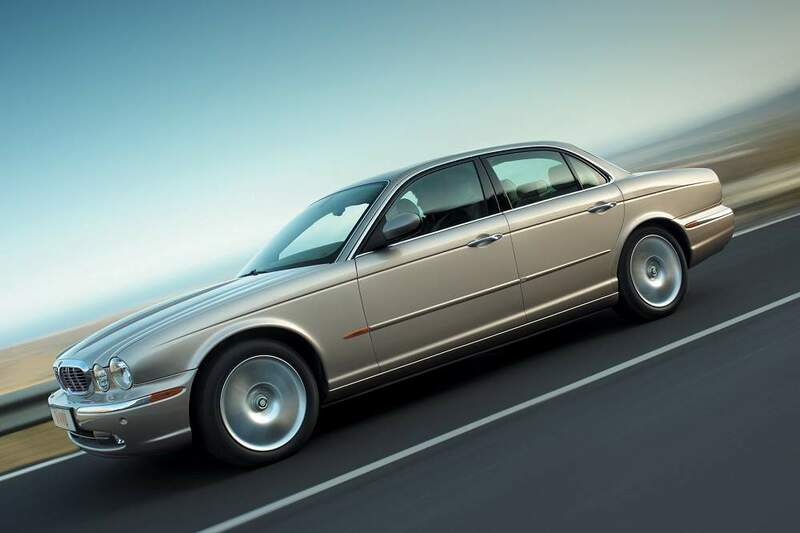 The proportions, stance and obvious dynamic quality clearly display that all-important Jaguar DNA and give it real presence on the road"
Select any image below to view a larger version. If you are using a browser which resizes images to fit the window, you need to turn this facility OFF for a better viewing experience. The Press Release text is available below the images in full and also in multiple languages as downloadable Microsoft Word documents for different markets. The new XJ receives its world debut at the Paris Motor Show, then making its first public appearance in the UK in October at Birmingham's British International Motorshow. 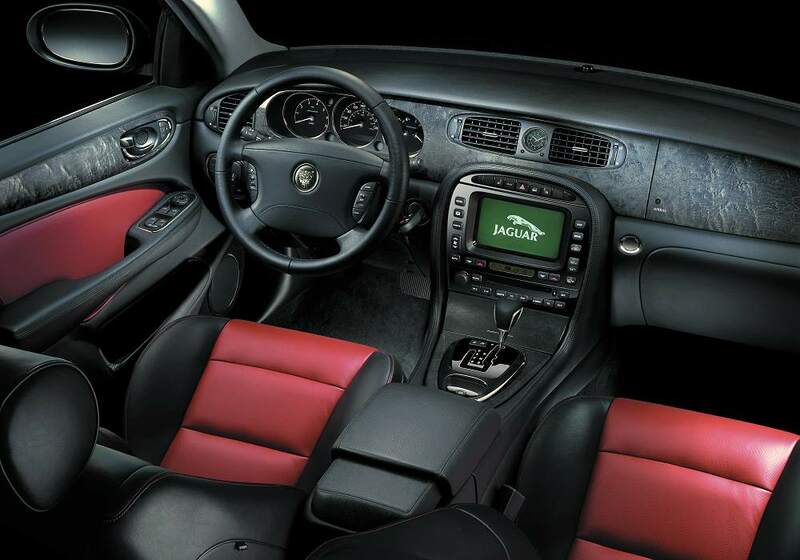 "The interior of the new XJ is epitomised by true craftsmanship, a sense of greater space and what I believe are the most comfortable seats we have ever designed. 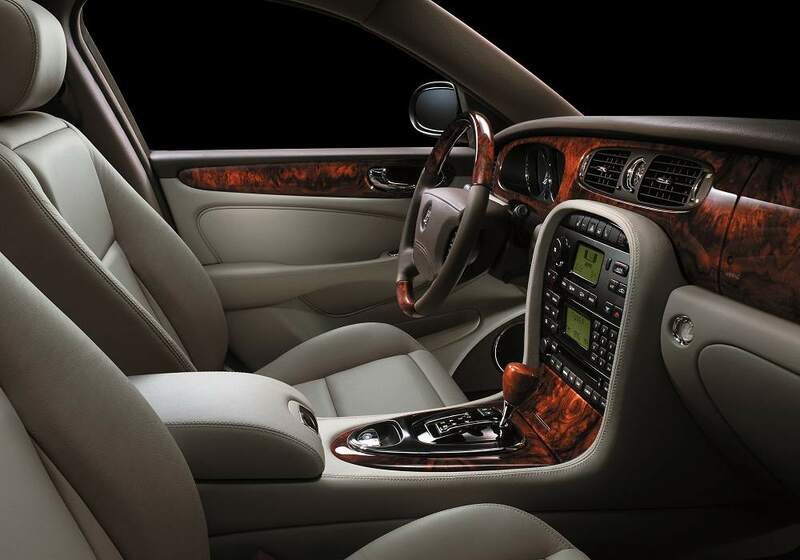 There is a warmth and richness that welcomes you into the car and makes you feel special." You may read this in full (UK Market version) here - or you can download as a Microsoft Word document in English (UK Market), English (USA Market), French, German, Italian, Japanese, and Spanish languages. When drivers choose to take a more relaxed approach, Adaptive Cruise Control (ACC) can be set to keep the new XJ at the required pace, the system slowing or speeding up the car to maintain the set speed at a safe distance to the car in front and cancelling the cruise function if this is not possible. A new feature of the ACC system is Forward Alert, which can be activated to provide an audible warning that driver intervention is required, even when the cruise control is not operating. Passive safety measures are equally impressive. 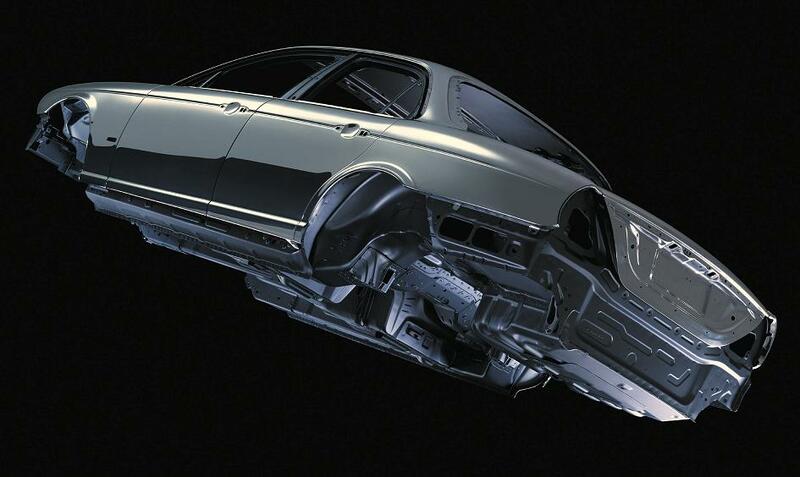 The energy-absorbing advanced body structure and Jaguar's A.R.T.S. safety restraint system have been designed to meet the world's most stringent safety standards. To optimise protection, the renowned Advanced Restraint Technology System senses the severity of a crash, the position of the driver and the usage of the seatbelts to provide tailored protection. The occupancy sensing system uses ultrasonic technology combined with a seat weight sensor to detect the presence, position and size of a front seat passenger. A.R.T.S. uses this information to determine the airbag energy levels most appropriate to the individual occupants during a frontal crash. This is combined with the standard side thorax and full-length side curtain airbag protection utilised in the event of a side impact. The all-new saloon is the seventh generation of Jaguar to carry the XJ badge. More than 800,000 XJs have been sold since the first model was introduced in 1968, accounting for over half of all Jaguars made. Powerful yet restrained design captures the recognised elegance and tradition of the classic lineage while introducing a contemporary essence and style that is unique to the all-new XJ. The all-new XJ is the most advanced production Jaguar ever, with aluminium-intensive construction providing new levels of strength, robustness and dynamic ability. 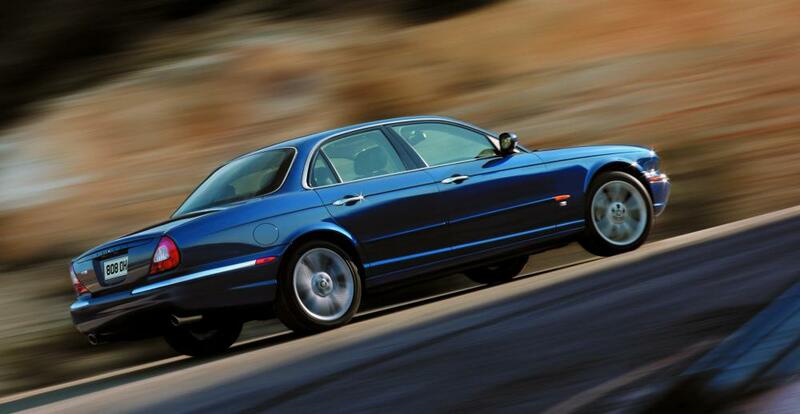 It is the ultimate expression of Jaguar luxury saloon car engineering. Blending the ultra-modern with traditional Jaguar values, the all-new XJ leads the way in the utilisation of intelligent, relevant technology while providing the style and contemporary luxury that are the trademarks of the brand. The body structure features industry-first use of rivet-bonded joining technology, with self-pierce rivets and aerospace-sourced epoxy adhesive joining together the aluminium pressings, castings and extrusions. Longer, taller and wider than its predecessor, with a longer wheelbase*, the all-new XJ offers improved headroom, legroom and shoulder-room for all occupants. With a kerb weight of up to 200kg less than the outgoing XJ, the all-new model enjoys significant performance and fuel economy advantages in addition to highly capable dynamic qualities. The full range of engines comprises 4.2-litre V8 (supercharged and naturally-aspirated), new 3.5-litre V8 and 3.0-litre V6, all with six-speed automatic transmission. Self-levelling air suspension is standard on all models, as is Jaguar's CATS Computer Active Technology Suspension system. Advanced electronic technologies include Dynamic Stability Control, Adaptive Cruise Control with Forward Alert, and Jaguar's renowned A.R.T.S. Adaptive Restraint Technology System. The all-new XJ saloon makes its public debut at the Paris Motor Show on 26th September and will go on sale from next spring, dependent on market. 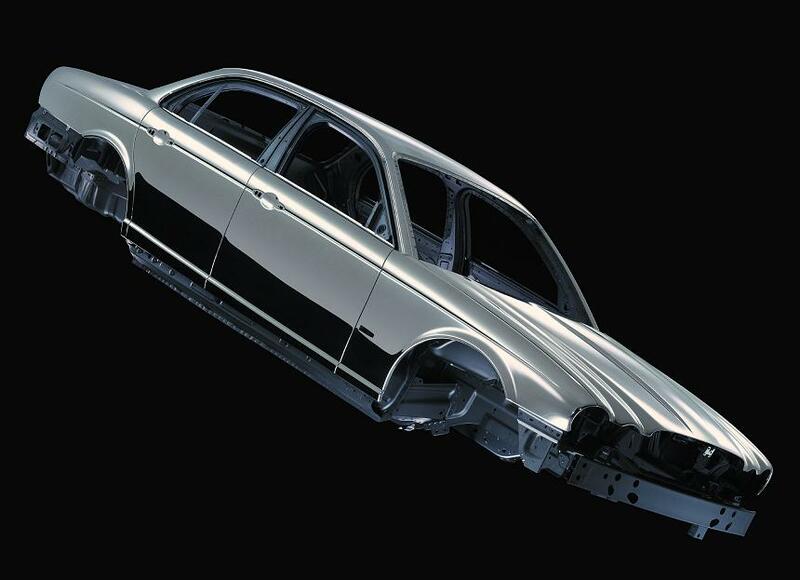 Dimensions for the new XJ: Length 5080mm; Width 1868mm; Height 1448mm; Wheelbase 3034mm. 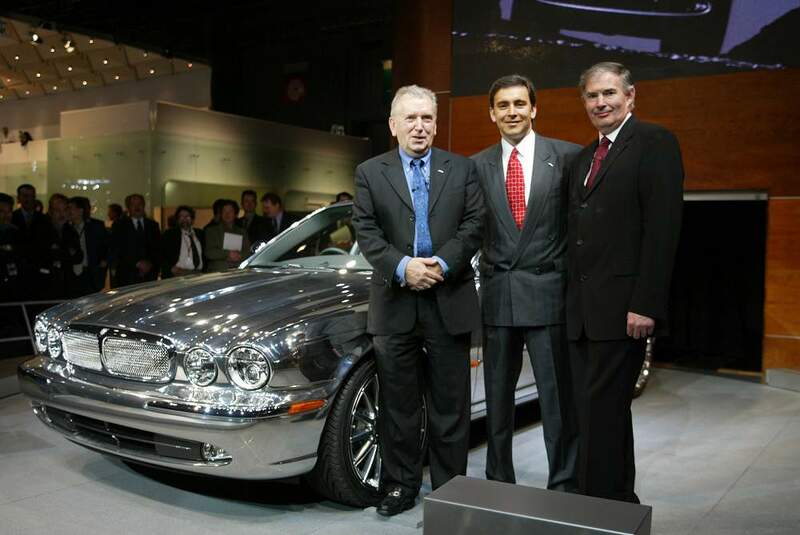 The new XJ is the seventh generation to wear the XJ badge. 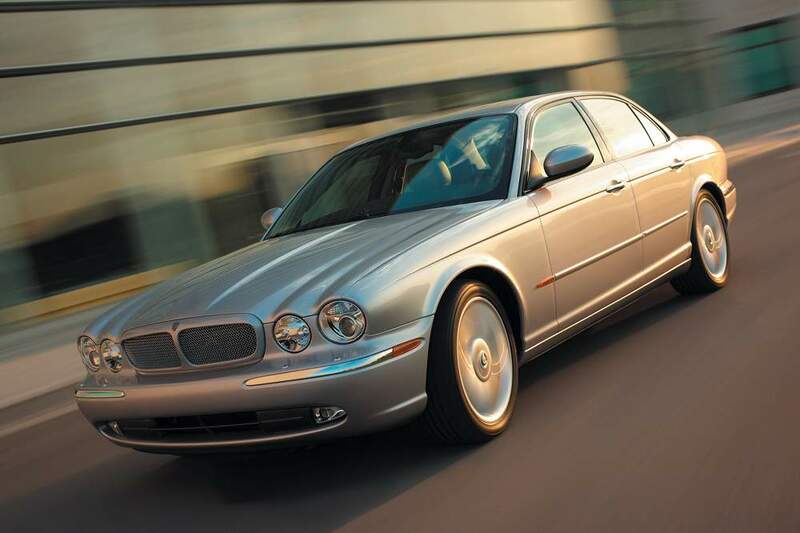 Total XJ production since the first model was introduced in 1968 is now comfortably past 800,000 cars - more than half of all Jaguars ever built. The car that became the first XJ was originally known by its internal project number, XJ4. 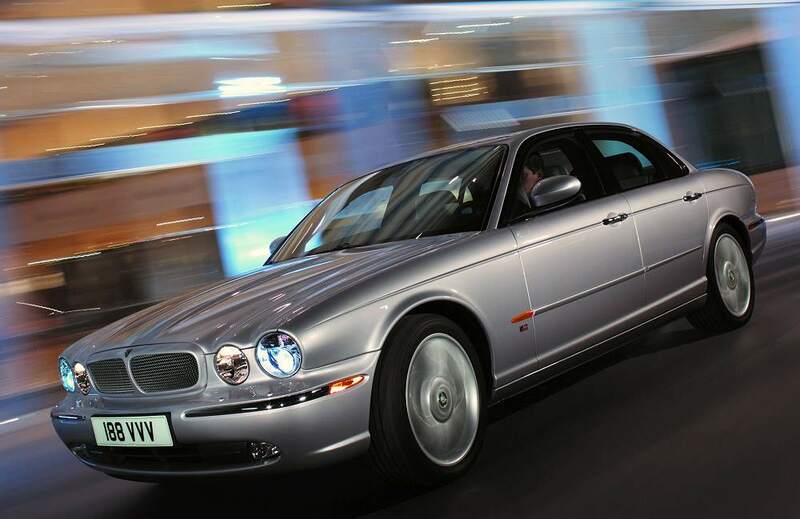 The XJ stood for 'eXperimental Jaguar'; there was no particular significance to the number 4. The original strategy behind the XJ4 project was to replace the E-type with a four-seater GT model, in response to similar cars appearing in Jaguar's important American market. The initial styling, overseen as ever by Sir William Lyons, featured front and rear ends rather like the E-type and had only two doors. Later, when emphasis switched to development of a new saloon model, rear doors were added and the front and rear ends were cut off. 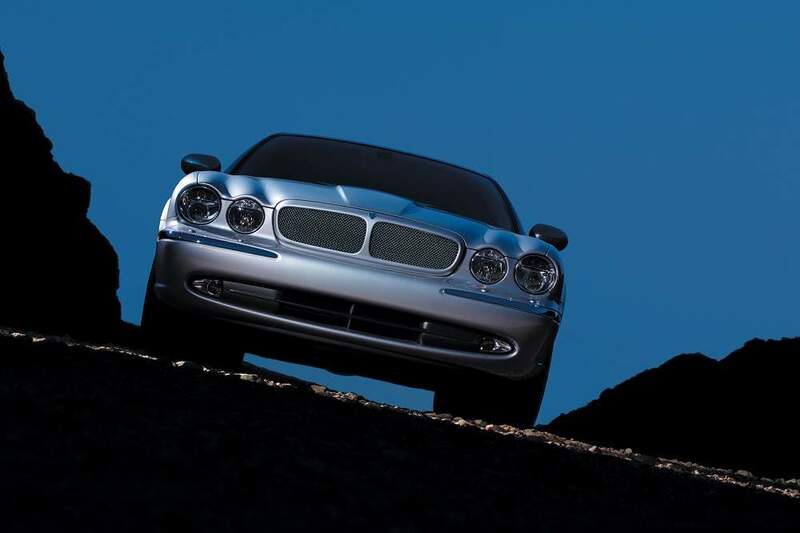 The XJ look was born. When the XJ6 was launched in 1968, it was powered by a choice of either the proven 4.2-litre XK straight-six or a new 2.8-litre version of the engine. 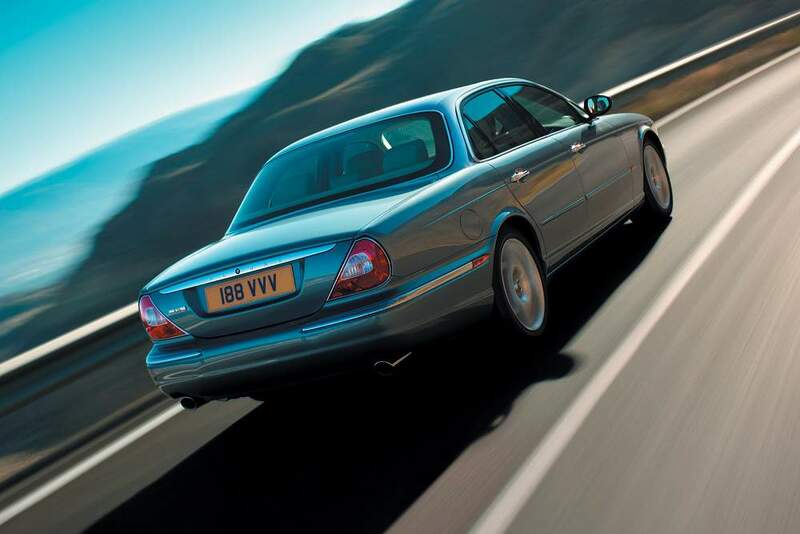 The XJ6 name was chosen simply because the car had six cylinders. The XJ6 was launched on 26th September 1968. Sir William Lyons himself appeared in the advertisements for the car, declaring it to be the finest saloon Jaguar had ever made. A basic 2.8-litre model cost just £1,800 and even a 4.2-litre automatic was only £2,400. The 4.2 with a manual gearbox had a top speed of 124mph - nearly 200km/h - and accelerated from 0 to 60mph in a still respectable 8.8 seconds. The 5.3-litre V12 engine that had made its debut in the E-type Series 3 the previous year was offered in the XJ from July 1972. The XJ12 was born. At this time, the XJ12 and equivalent Daimler Double-Six cars were the only V12-engined saloon cars available across the globe, and with a top speed of 147mph (close to 250km/h) the XJ12 soon captured the title of the fastest saloon car in the world. The first long wheelbase XJ model was introduced in September 1972, when an extra 4in (102mm) was added between the axles. The revised Series 2 XJ range was introduced in 1973. Featuring such innovations as side-impact intrusion beams and fibre-optic lighting for the switchgear, it was in many ways ahead of its time. A 3.4-litre model was added to the range in 1975. The design of the third-generation XJ was entrusted to the famous Italian company Pininfarina. Launched in March 1979, the Series 3 had even more elegant styling and carried on the Jaguar tradition at a difficult and crucial time in the company's history. With the basic XJ design now well over 10 years old, Jaguar was by the early 1980s developing a replacement under the project code XJ40. This was the last Jaguar production car influenced by Sir William Lyons, who died in 1985 - a year before the new (fourth) generation XJ was unveiled in October 1986. The XJ40 was more angular than previous Jaguars, and many versions featured large rectangular headlamps, as well as square rear lights. It was also the first Jaguar to feature a quarterlight in the rear pillar, creating a six light style. Transmission technology was advancing fast, and XJ40 buyers had a choice of a five-speed manual Getrag gearbox - first seen on the XJ-S coupe - or a ZF four-speed automatic with a new shift called the J-gate. The new generation XJ was an instant success, and a second assembly line was opened in 1987. 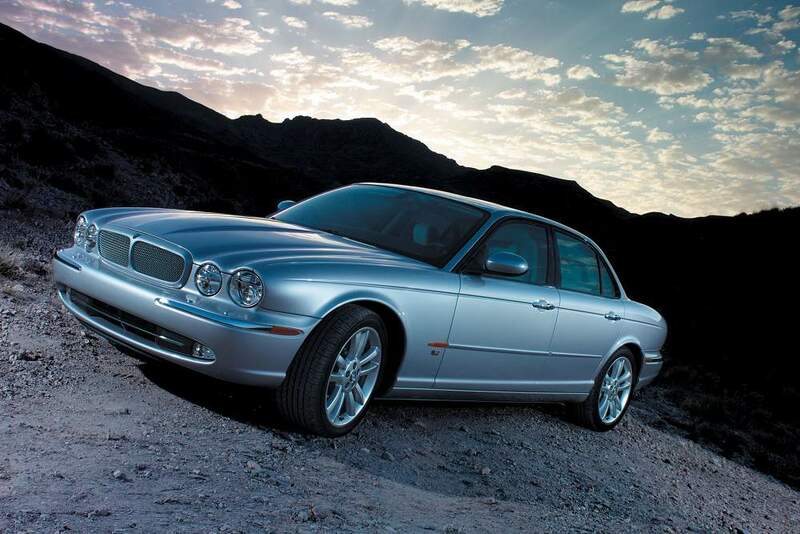 By 1988, XJ production had increased to a record 41,000 cars per year. 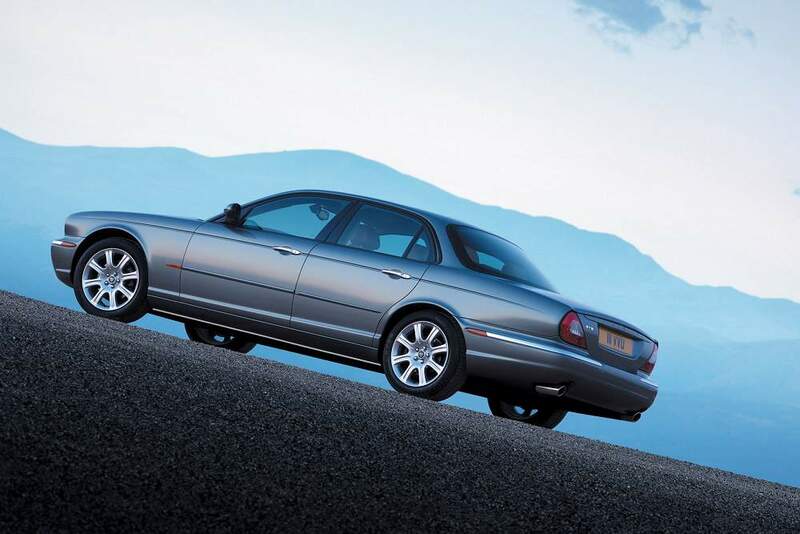 By the early 1990s, the next generation of the XJ was under development, funded by a £200 million investment from Ford after its takeover of Jaguar in 1989. 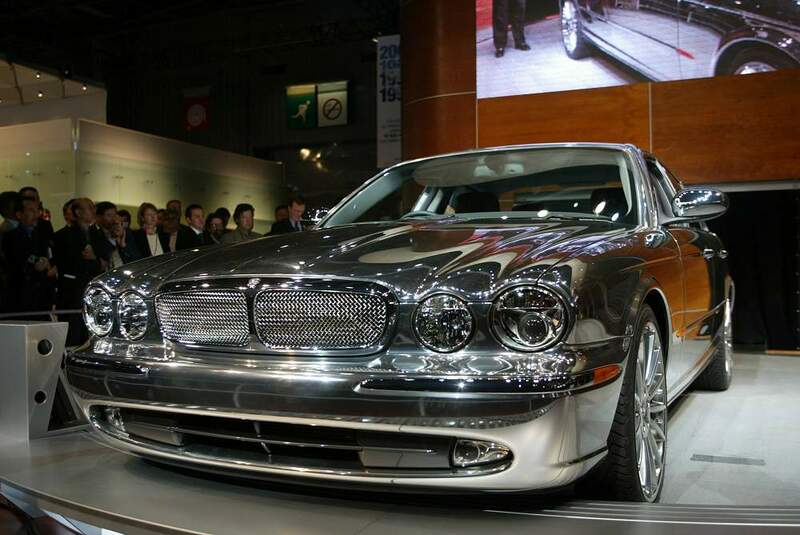 The resultant redesigned XJ40, the X300, was launched in 1994. At launch, the X300 was offered with a choice of 3.2-litre or 4.0-litre six-cylinder engines and a 6.0-litre V12. Most exciting however was the new supercharged version of the 4.0-litre, which powered the XJR. With a top speed of 155mph (250 km/h), it was just as fast as the twelve-cylinder car, but had even more spectacular acceleration. 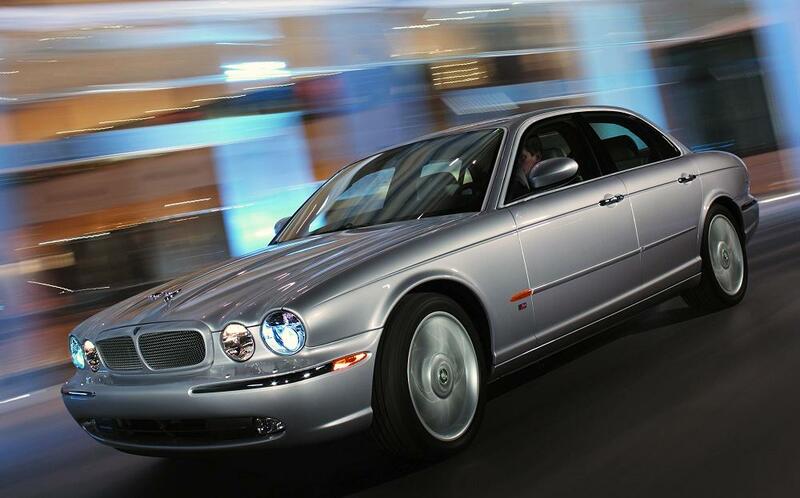 In 1997, the six- and twelve-cylinder engines were discontinued and replaced by the new AJ-V8 engine that had made its debut the previous year in the XK8 sports car. The sixth generation of XJ had arrived. 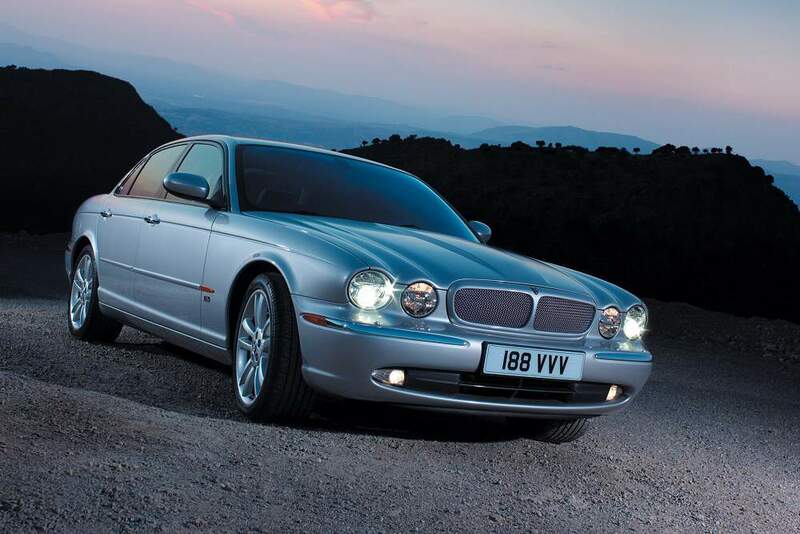 Available in 3.2-litre, 4.0-litre and 4.0-litre supercharged guises, the AJ-V8 engine's arrival meant that the famous XJ6 and XJ12 badges were finally retired - although the former is making a comeback. With the unveiling of an all-new XJ saloon at the Paris Motor Show, Jaguar opens a new chapter in the story of the car that for many is the definitive Jaguar. 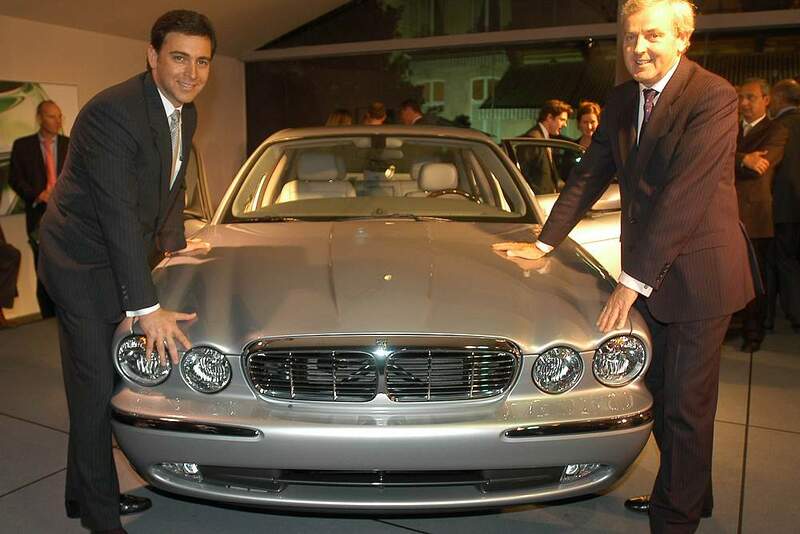 The date - 26th September 2002 - is 34 years to the day after the launch of the original XJ6. 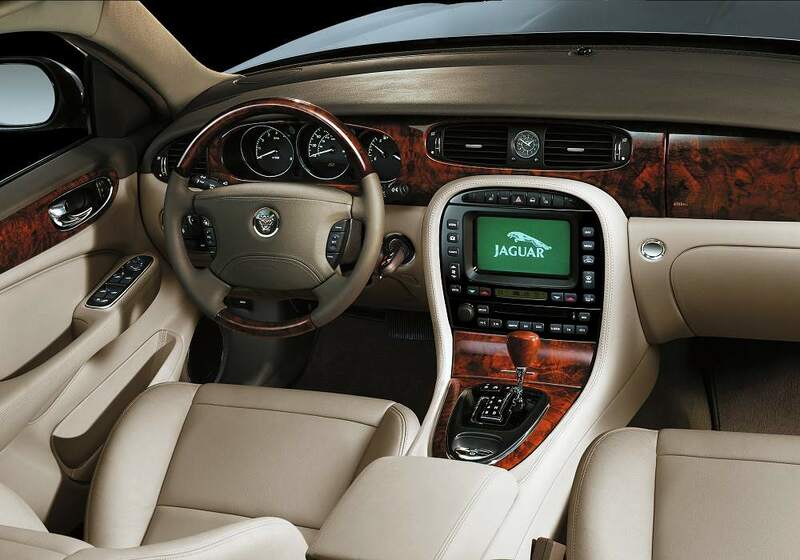 FOR FURTHER PRESS INFORMATION CONTACT THE JAGUAR PRESS OFFICE ON +44 (0) 2476 207 855.